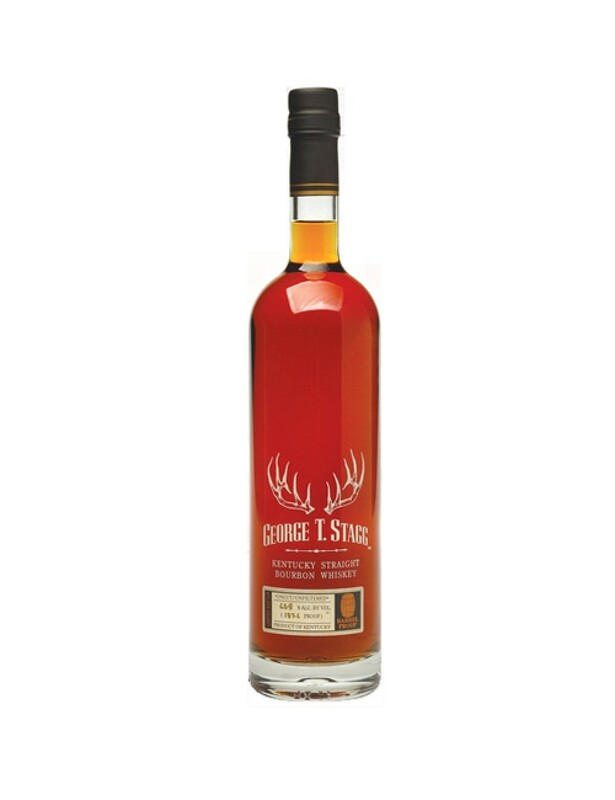 2016's release of George T. Stagg was aged in 142 barrels for 15 years and 4 months - resulting in a loss of 76% of the spirit to evaporation! The colour is a very deep red. On the nose, this is a killer: dark chocolate, massive oak, dark roast coffee grounds and - wait for it - grilled pepper-crusted steak! Vanilla pods. Deep, rich wood smoke. Fruitier and a little malty with water. Powerful. On the palate this is a bruiser - the oak pulls on the mouth unrelentingly. Syrupy mouthfeel. Massive alcohol. Melted dark chocolate, nutmeg and very rich umami. Water tames the alcohol burn and adds tannins with some hot spices. Exactly what you expect from a Stagg but a bit too over the top. The finish is bitter oak, black cherry and burnt campfire smoke. This is fantastic stuff, but a little too big - needs to be a bit more layered. But still, this is a lot of fun to drink! Tasting these three together, the DNA more closely matches the 12 than the 107, but really there's not much of a comparison (especially since there is no wheat in the Stagg). Such a fun night to be tasting three great bourbons! Stagg Jr. Bourbon Sensory overload - in a good way! Stagg Jr. Bourbon Who’s Your Daddy? @Nozinan Of course, you will try some...also, I considered also adding a review of your sample of Stagg Jr., but with three bourbons tonight (2 at high strength), I thought I better take it a bit easy. I was lucky enough to get one each Weller 12, 107, and Taylor small batch, but not as lucky as you. @paddockjudge Taylor Small Batch is pretty great! Interesting. Congrats on getting a bottle of 2016 George T. Stagg, and the others mentioned, this year! I haven't tasted the 2016 Stagg yet, but hope to. The 2016 BTAC release is seeing a lot of grousing in reviews about the new release of Sazerac 18, George T. Stagg, and Thomas Handy. It is really tough to keep standards for these as high as they have been set up to now. 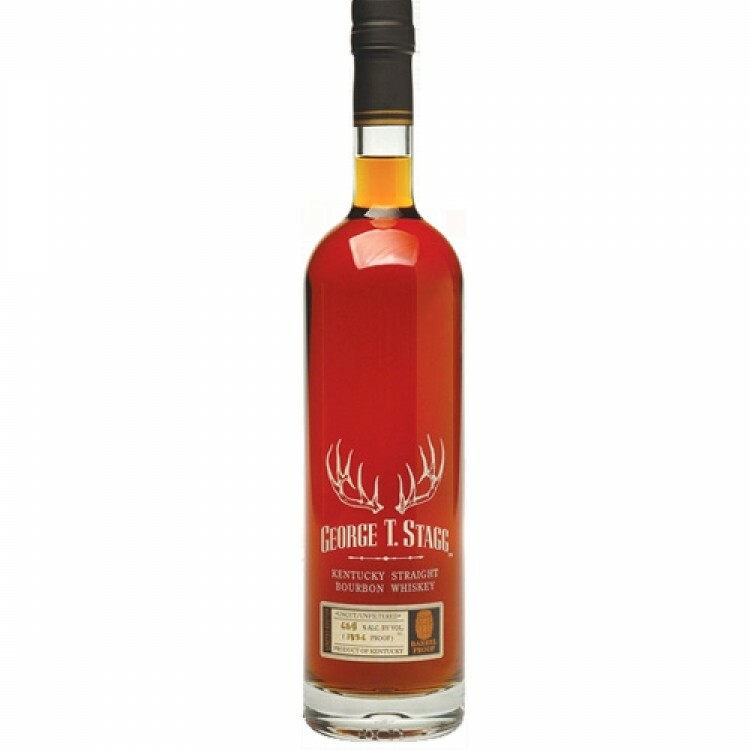 Still, as you have noted, a whiskey as big as George T. Stagg gives enormous entertainment even in a year when it loses a few points for finesse. @talexander you were lucky, too bad it is not on a great year. It is good to see that there is still some objective reviews of such a mythic bourbon. It's still sound like a lot of fun. Finally, if you now somebody who was lucky enough to get a bottle of WLW, please, try to get a review of it. @Robert99 Hmmm no I don't think I know anyone with the WLW....unfortunately. I've done a couple of tastings of the full range. Buffalo Trace did a pop up bar in London. It was pretty amazing. WLW this year was as good as it gets. Handy was muted on the those this year but otherwise great. I have a bottle and will wait to see if the nose improves on opening. GTS was far too overpowering first time I tasted and sublime the next time. Saz 18 was not great. Overly oaked, lacking depth. Eagle Rare 17 which often gets a hard time was beautiful. 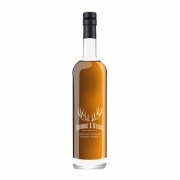 @MuddyFunster, thanks much for your feedback on the 2016 Buffalo Trace Antique Collection whiskeys! @MuddyFunster, about the 2016 Handy, actually I like the nose the best about my open bottle of it. Makes me wonder what your samples have smelled like.